From: Howard Thomas, Cairns, Qld. Another great newsletter. My thanks to Alex Masson for his kind words. As you know I am now working on my 85th! dinkie cummerbund in there somewhere?... do tell. Firstly, a big "thumbs up" for the website. It is great way for all Commonwealth Movers, past and present to keep in touch and find old mates from "far and wide". 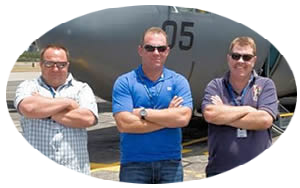 The three "fit looking- yet older and slightly wider" blokes in the RNZAF Mystery Photo, attended the 40 Squadron RNZAF, 20 year Gulf War Reunion at RNZAF Whenuapai in Dec of 2010. 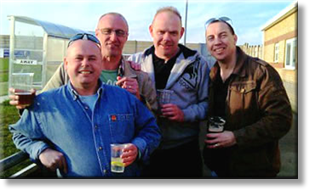 They are, L to R: Skiv Devescovi, Jon Felton & Brian Lay (Members of the Kiwi Air Load Team, attached to the UKMAMS Det in Riyadh in 1990-91 First Gulf War). Members unfortunately unable to attend were Bob Norton and Matt Mataroa. Keep up the great work. 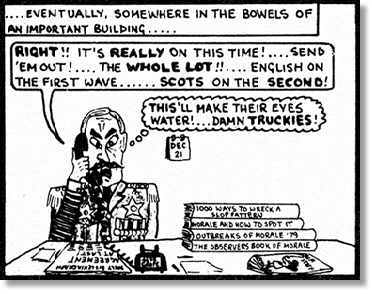 I look forward to the next OBA Newsletter. 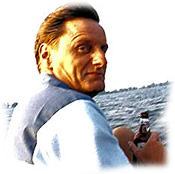 ps: Anyone heard from Dougie Betambeau lately? Last time I heard he was still trying to perfect his golf swing. 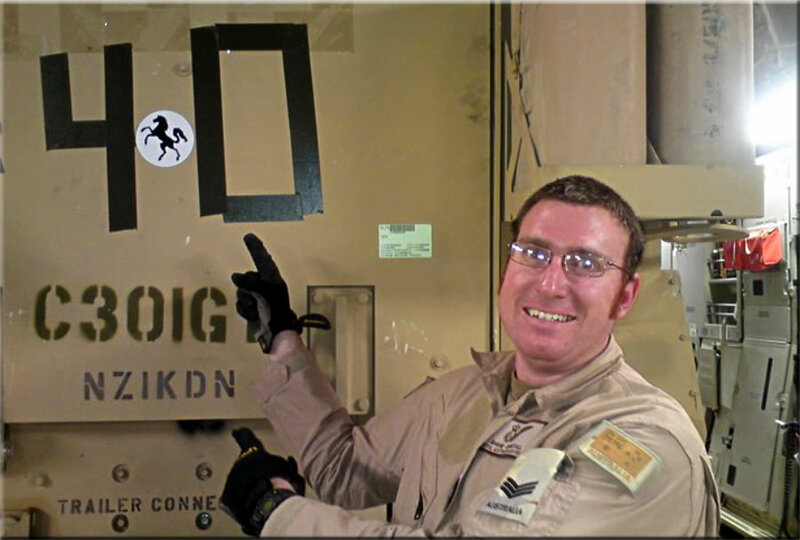 Greetings Dougie and also to any of the lads from the 90/91 Riyadh Det! The RAF's No 2 Mechanical Transport (MT) Squadron has been busier than normal over recent weeks having been tasked to drive equipment and supplies to Italy for the RAF's operations over Libya. To date, in support of Operation ELLAMY, 2 MT Squadron personnel, based at RAF Wittering, have travelled the equivalent distance of eight times around the world and transported 1,680 tonnes of kit down to the airfield at Gioia del Colle to support 906 Expeditionary Air Wing. 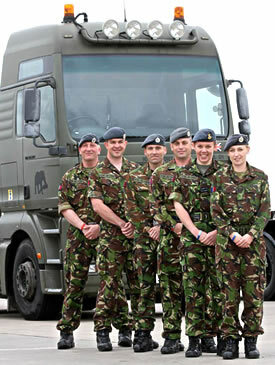 A second convoy of 21 articulated lorries was rapidly readied back in the UK with kit collected from RAF Coningsby and RAF Marham, and the convoy left from 2 MT Squadron's base of RAF Wittering on 20 March 2011, six days after the first convoy left Nancy. The high-value equipment being transported included generators, air start trolleys, drop tanks, hydraulic rigs and weapon loaders for the Typhoon and Tornado aircraft that are policing the no-fly zone over Libya in a bid to protect the country's civilian population from attacks by Colonel Gaddafi. Convoy Commander, Sergeant Andy Lewis, said: "The squadron does a lot of convoys of this nature but mainly to support the defence exercise programme. We went from supporting an exercise in France to supporting a operation. Everything changed and the speed and the tempo went up. Usually we would have months to prepare for an exercise, but for this [ELLAMY] it was a matter of hours. "I was given 36 hours' notification. It was a big undertaking but there was a real buzz around the station as the guys were prepping the vehicles, getting jabs at the med centre and convoy commanders were getting their briefings." 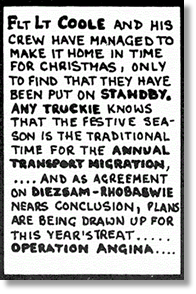 Taking so many trucks on the road at any one time also had to be meticulously planned out, including paying at road tolls, taking rests and refuelling - that would take anywhere between 30 minutes and an hour-and-a-half. The convoys were escorted through Italy by the Italian Carabinieri (police). The trip from the UK to Gioia del Colle took four days. Electrician Corporal Simon Vaughan, from 5001 Support Engineering Flight (SEF), that supports 2 MT Squadron, performed one of the quickest battery changes of his service career during one convoy. He said: "We had just entered Italy and the lead vehicle's battery had packed up. It was a single carriage slip road and cars were backing up behind the convoy, with an Italian policeman waving us on. Usually a battery change would take about 15 minutes; we did it in under five. Fortunately we had a spare battery that had been put on as spares at the last minute." 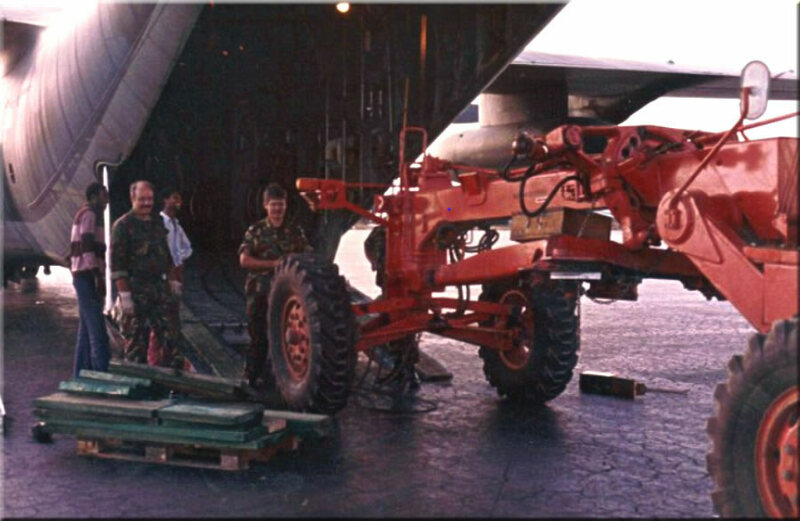 In the hours following the passing of United Nations Security Council Resolution 1973, 2 MT Squadron personnel who had been deployed to support Operation Southern Mistral (a flying exercise in Nancy, France, involving Tornados and French Mirage fighter jets) were rerouted, and the equipment, carried in a 20-vehicle convoy, taken south. During the peak of getting equipment down to Gioia del Colle, of the 155 personnel in 2 MT Squadron, at one point only 30 were left at RAF Wittering. Some are still deployed in Italy and France maintaining the sustainment supply convoys that continue to leave RAF Wittering on a regular basis. Just got back home after attending Pete’s funeral. Although we did not go to the crematorium, which is in Peterborough, Pam and I did go to the memorial service and believe me we were standing throughout as there must have been 250 people there. The service was very good and finished just before the flypast by a couple of trainers from Cranwell which overflew as a salute. As we left the church everyone looked up to see a glider soaring overhead. As that was Peter's great passion everyone thought it was arranged, but it was not. Got the latest OBA and it was nice to see what Bob Dixon had to say about Pete (#042911), his non PC sense of humour will be sadly missed. We are off to Malaysia in 2 weeks for a five week stay and then about a month after we get back it is away again to Turkey for 3 weeks. Was greatly saddened to read of Peter Kingwill’s passing. He and I served together from the time he joined us on FEAF MAMS in December '67 until I was TOUREX in FEAF in July '68. I remember Pete as a superb MAMS Team Leader, a great bloke and a bonnie drinker when called upon. Vale old friend. 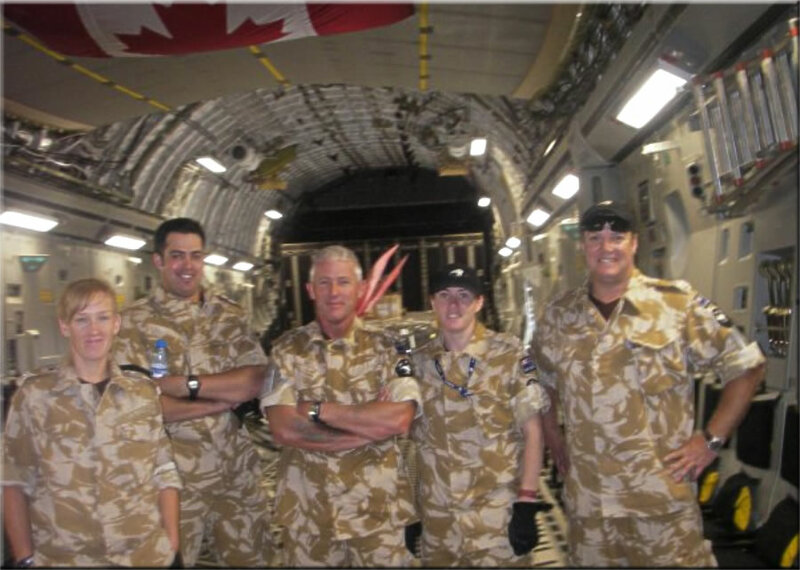 I’m not sure if we could be classed as a mobile team ..... but this motley crew facilitated the arrivals and departures of all the overseas VIPs invited by our Chief of Air Force to attend the Australian International Air Show (Avalon 2011). We handled the arrivals and subsequent departures of guests from 25 countries (26 if you count NATO as a ‘country’) together with eight US delegations up to and including Chief of the Pacific Air Force who arrived in his own Gulfstream. On the inbound weekend, we walked about eight km a day, over three 20 hour days, without ever leaving the Melbourne Tullamarine terminal building - and didn’t lose a VIP or any of their retinue the whole time! Sidenote -- Joanne Finlay was one of the first female Traffic Techs ever to be promoted Sergeant.. I might have mentioned before that I used to visit Bristol Airport on a daily basis, for nearly 30 years. The airfield was originally constructed during WWII as RAF Lulsgate Bottom. Work started on the laying down of the runways on the 11th of June 1941 but flying started long before George Wimpey & Company had finished laying down the 3,900 foot (1,200 metres) main runway. At 0610 hrs. 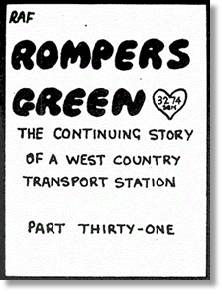 on the 24th July1941 the morning construction gang had just started work. At this time of year it was quite light, although a little foggy. Out of the mist, quite to their astonishment, an aircraft landed on the unfinished runway and came to a stop near to where they were. As he did not understand the somewhat strong Goidelic accented reply he realised that something was amiss and, drawing his pistol, made haste back towards the airplane, shouting instructions to the rest of his crew. Well, they didn’t get very far as they were hemmed in by the tractor. Shortly afterwards some soldiers arrived and after a lot of shouting and waving of rifles, persuaded the invaders to surrender. These German chaps had been on a bombing mission to Birkenhead docks and had become disorientated due to the RAF radiating electronic countermeasures on their homing beacon at Brest. They had mistaken the Welsh coast for Cornwall, and having crossed the Bristol Channel, (which they thought was the English Channel) they landed on the first airfield that they could find. Their aircraft was indeed a prize; it was first flown to RAE Farnborough for evaluation, then onto RAF Collywestern to join 1426 Enemy Aircraft Flight, (RAFWAFFE) painted in RAF colours, given the registration of HM509 and joined the many other captured German aircraft which were used for various purposes. The German aircrew under interrogation were not very communicative, although admitting to their navigational errors, and were eventually dispatched to one of the POW camps to sit out the rest of the war (by 1945 there were 600 of these camps throughout the UK). One of the construction gang recognised that it wasn’t an RAF airplane, but a German one! He quickly realised that he had better do something and drove his tractor in front of the now stationary twin-engine bomber at the same time shouting to his mate to call out the military guard. 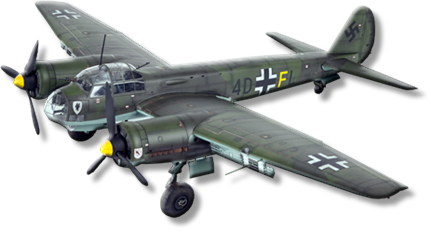 In actual fact, the airplane was a Luftwaffe JU88 fighter-bomber. The Royal New Zealand Air Force (RNZAF) unveiled its new A109 Light Utility Helicopters (A109LUH) and opened the new hangar where they will be housed during a ceremony at Air Force Base Ohakea, attended by the Prime Minister, the Minister of Defence and other dignitaries. 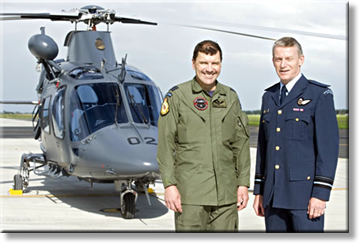 Chief of Air Force Air Vice-Marshal Peter Stockwell said that the new helicopters represent the start of a significant leap in technology for the Air Force's Rotary Wing. "The three helicopters are the first of five A109LUH to replace the Bell 47 Sioux. The new helicopters are lightweight, with twin-engines, a modern glass cockpit and retractable wheel undercarriage. The A109LUH is part of a Defence Force helicopter training system that includes computer based training, a procedural trainer and simulator. This provides a cost effective means of training aircrew prior to operational conversion onto the NH90 or SH2G helicopters. Along with its training capability, the new A109LUH helicopter will be used for light utility tasks in support of the other Services and government agencies. Together with the unveiling of the new helicopters the Air Force also opened the new Number 3 Squadron hangar that will be home to the A109LUH and NH90 helicopters. AVM Stockwell said the state-of-the-art facilities were necessary to house the new helicopter fleet as the layout required would have been impossible to accomplish within any of the existing 1940s-era hangars currently in use at Ohakea. "The RNZAF is proud now to have one of the most modern hangar facilities in the southern hemisphere. It is important that while we invest in our equipment, we also invest in our people by making the place where they work as modern, safe and effective as possible." The new hangar facilities were created and built through a partnership between the Air Force and local and national companies. GHD Ltd designed the hangar based on a concept developed by Beca and the RNZAF, while the main construction contractor for the building was Ebert Construction Ltd based in Wellington. The contractor for the site works and hardstanding was Higgins Ltd based in Palmerston North. "The arrival of the A109LUH is a significant and exciting step in the upgrade and replacement of the Air Force&apos;s rotary and fixed-wing platforms. This will see the RNZAF equipped with the capability necessary to operate even more effectively and efficiently in the twenty-first century," said AVM Peter Stockwell. Unless I am getting too old, the tester in the photo is none other than Mick Bedford who was originally a Mover before he learned how to make coffee and become a Loadmaster. Tony, thanks so much for the great efforts you put into each newsletter, I didn’t realise how big our Mover's community was globally until getting stuck in to the website. 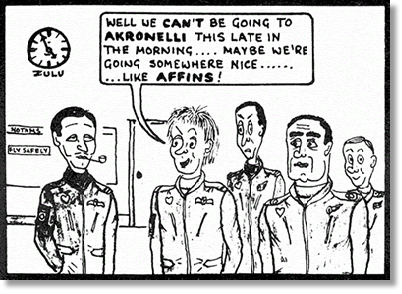 Can I suggest you link up with the Aussie Airman Aircrew website also, this is full of ex-Movers who became aircrew, and also a bunch of guys that inevitably would have crossed paths with members of the foreign services on Op’s and Ex’s over the years. The Royal Air Force's new Airbus A330-based Voyager tanker/transport has begun receiver clearance testing in the UK, with its first ground activities having involved a Panavia Tornado GR4 strike aircraft. 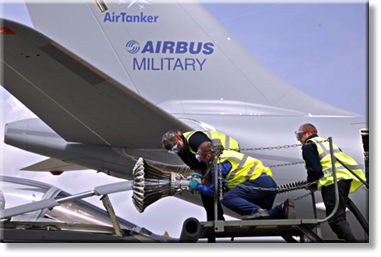 Pictured at the Ministry of Defence's Boscombe Down test site in Wiltshire, the Voyager is one of two A330s to have been modified so far by Airbus Military under the UK's Future Strategic Tanker Aircraft (FSTA) programme. It arrived at the MoD/Qinetiq base on 4 May from the company s Getafe plant near Madrid and transferred the first fuel from its starboard hose and drogue refuelling pod the following day. All of the UK's future fleet of 14 A330-200s will be equipped with Cobham 905E underwing pods, while seven of them will also be configured with a centreline hose refuelling unit supplied by the same company. To enter use from November at RAF Brize Norton in Oxfordshire, the FSTA fleet will be provided by the AirTanker Services consortium under a private finance initiative deal worth around £10.5 billion ($17.1 billion). The current test activities at Boscombe Down follow an earlier visit by a Voyager in mid-April. Once operational, the fleet will also provide in-flight refuelling support for RAF types including the Boeing E-3D Sentry airborne warning and control system aircraft, Eurofighter Typhoon and Lockheed Martin C-130. 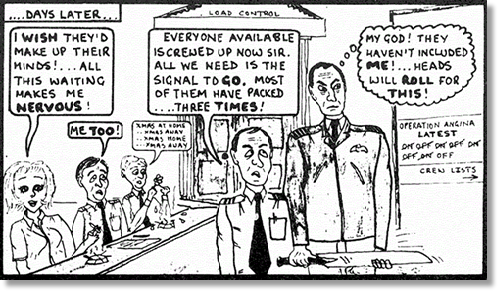 "Joined Air Movements in 1972 from RAF Luechars, trained at Brize Norton, posted Gutersloh Oct '73, posted Lyneham '76. Joined UKMAMS March '77, demob May '78." 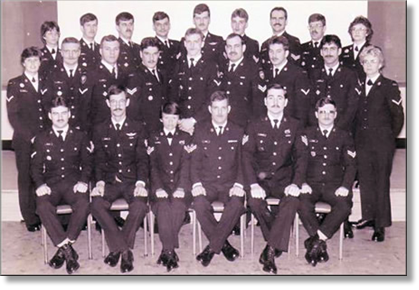 I am currently organising a RAAF Movers re-union to be held in Ipswich QLD in June this year. 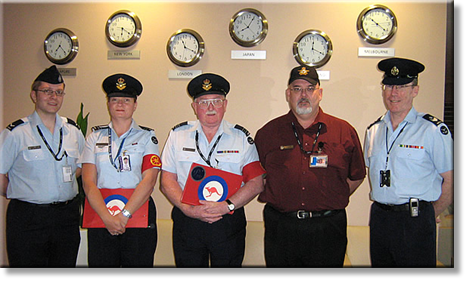 I have a large data base with a lot of past and present RAAF Movers. If it is OK with your association I will forward the details of this site onto them all. I was lucky enough to be the last of the non-Singaporeans at the Joint Services Movements Centre at Tengah in 1982 and therefore am in possesion of the two Vistor's Books that date from May'67. Many names of note including "Charles" on 7 Oct 74 (he had a page to himself). 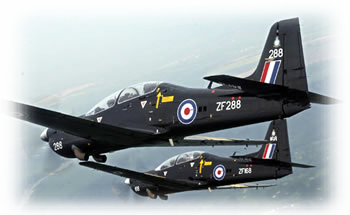 I look forward to finding some of my old RAF and Kiwi mates from the old days. 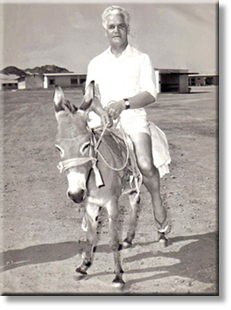 Browsing , nothing to do and came across your web site and there was my old friend Murdo Mc Cloud from 1967 at Muharraq, phoned straight away had a wag. Love to hear from Tim Newstead and Geordy Ward. Can't say Muharraq was the most wonderful posting but the mates made up for it. 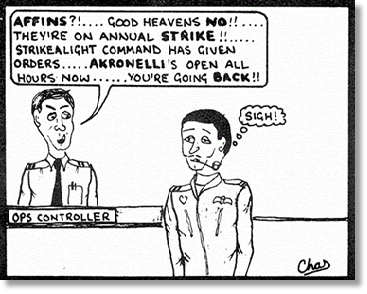 Posted to Northolt on repat decided to leave the RAF big anti-climax. 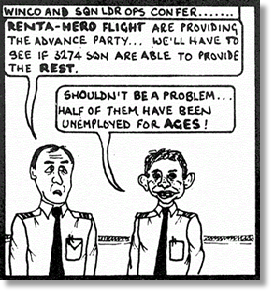 Spent 37 years and 6 months BOAC/BA , doing alright until 9/11, reverted to projects and then retirement , miss the excitement. 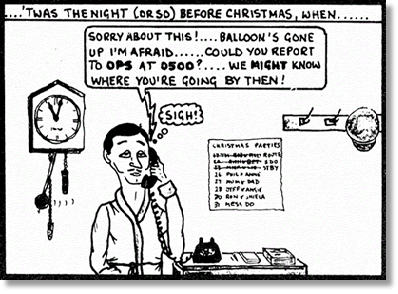 Only did one detachment to UKMAMS , Skydstrup around Christmas 1968. Hopefully looking forward to getting a reply to this , wonderful finding your site. Needless to say I have always thought he was a special man and had achieved a great deal during his 2 bouts in the RAF but it is brilliant for my children to know that others agree with me. Dad died 23 years ago. 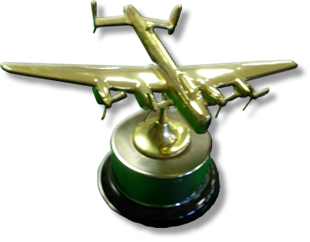 The "Veterans" trophy at Bargoed Golf club is in the shape of a Lancaster in his honour (he did three tours). "Veterans" trophy refers to the older members of the club, who play for it each year. It is not Veteran in the services sense. "I had the pleasure of working with Taff when he was a Flt Sgt on NEAF MAMS on detachment in Bahrain in 1967. Obviously we were wearing KD out there so we never saw his badge and Taff never talked about his time as an Air Gunner until one night on shift he said his former Skipper was passing through, some AVM chappie who greeted Taff like a long lost brother at the bottom of the steps. Needless to say he whisked Taff off into the VIP lounge, and the two were not seen again until the aircraft was ready to continue on it's route to the Far East, the two war time friends appeared rather the worse for wear, but when they got to the bottom of the steps it was very hard for them to say their goodbye, but tearfully say them they did. 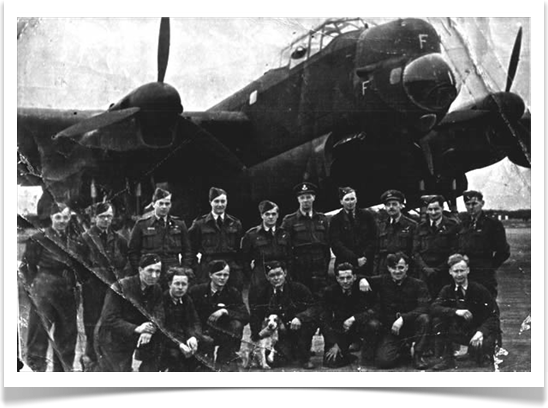 "After the aircraft had departed Taff (still the worse for wear) explained how the two of them had come through the war, Taff was his Rear Gunner, on a Lancaster Pathfinder Squadron, some unknown 617 Sqn , commanded by some bloke called Wg Cdr Guy Gibson VC (this was after the Dam Busters raid). I have just seen a couple of entries on your web site that mention my father Glyn (Taff) Erasmus and I just had to say how wonderful it is to see that he is still remembered (and it seems quite fondly) after all these years. "We sat there enthralled for the rest of the night whilst Taff told story after story, some funny some sad, but every one had us on the edge of our seats." Dad is the short one in the middle in the back row. By the way, he wasn't in 617 Squadron (perhaps Keith disremembers, or perhaps Dad was shooting a line) he served in 9 and then 7 Squadrons. 7 were the Pathfinders and this was his crew on that squadron. "On June 23-24, when 5 V-1 sites were attacked, the German controllers realising all the activity was to be in the Pas de Calais area, sent the fighters westward. 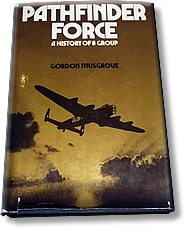 At 0025 hrs, F/Lt B. G. Frow, Deputy Master Bomber on L-HEY, saw a Lancaster ahead of him being attacked by a Ju 88. The bomb-aimer, F/O K. Milligan, was manning the front turret so Frow ordered him to fire and the Mid-Upper, W/O O. G. Erasmus, swung his turret and added his weight. The enemy, caught in a cross-fire, dived away. Five minutes later F/Lt E. Wharton, the rear gunner, saw an unidentified fighter coming in to attack and opened fire immediately. "His aim was so true the combat was over in seconds; the fighter, hit in the starboard engine, dived away steeply towards the cloud and exploded. The gunners, feverishly trying to clear stoppages, did not see an Me 210 which came in from below, so Frow’s first warning of the attack came when cannon shells ripped through the mainplane; the tailplane, fin and rudder were also damaged. Before the enemy could attack a second time Wharton and Erasmus had their guns working and a surprised German pilot had to dive for safety as machine-gun fire tore into the Messerschmitt. Frow set course for Woodbridge where he landed safely." Dad worked for the local Council when he retired from the RAF, firstly as a storeman and latterly as a purchasing officer. He took early retirement on medical grounds and died aged 66 in 1988. Because we have the same name, people still ask if I am any relation and then tell me tall tales about him. At his graveside the officiating priest shook my hand and informed me that due to his great admiration for my father he would waive his fee. Something I found quite bizarre given the circumstances. He left two children and four grandchildren. The eldest of which is named Owen which was Dad's and my first name, though he and I have always used Glyn. Owen Glyndwr Erasmus was his full name. Glyndwr (Glendower) was a Welsh prince (1354 - 1416) and hero who fought the English in Northern Wales in 1400. The Welsh have long memories.